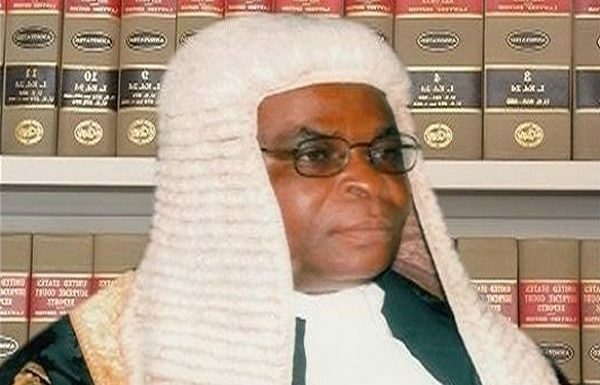 The Court of Appeal in Abuja, presided over by Justice Abdul Aboki, has barred the Code of Conduct Tribunal (CCT) from proceeding with hearing in the false assets declaration filed against the Chief Justice of Nigeria, (CJN) Walter Onnoghen. At the resumed hearing of the appeal the Defence Counsel, Wole Olanipekun told the court that the CCT has vowed not to comply with orders from other courts which it described as Court of Coordinate Jurisdiction except that of the Court of Appeal. He however emphasised on the issue of jurisdiction raised before the CCT which according to him was ignored. Mr Olanipekun argued that if the application is not granted it will affect the judiciary in totality and will be a threat to the country and the constitution as a whole. In a counter affidavit, counsel to the Federal Government, Mr Oye Koleosho said the decision on whether to stay proceedings at the tribunal is at the discretion of the tribunal. He drew the courts attention to the fact that the lower tribunal adjourned the hearing of the application challenging its jurisdiction which was at the instance of the defence counsel and if the court stay proceedings, the tribunal cannot decide on the issue of jurisdiction. Justice Abdul Aboki who presided over the appeal wasted no time after the arguments to order the CCT to stay proceeding pending the determination of the appeal and adjourned to January 30, 2019.